Activities celebrating the Full Circle Festival is drawing to a close as the Country ushers in the Year of Return, Ghana 2019. Officials of the Ministry of Tourism, Arts and Culture , Ghana Tourism Authority and office of Diaspora Affairs joined the Chiefs and people of Akwamu to celebrate several Hollywood stars of African descent at a colourful ceremony. Drawing parallels between the resilience and fighting spirit of the Akwamu people, the Paramount Chief, Odeneho Kwafo Akoto III, congratulated the star studded entourage for their exploits in the USA which has now made them global icons. Actor Michael Jai White and Marketing icon, Bozoma Saint John were both enstooled as warriors. Hollywood Actor, Boris Kodjoe, who coordinated the trip also came up for special recognition for his untiring efforts in promoting Ghana to the rest of the World. 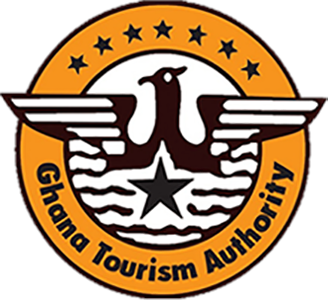 The Year of Return is a special spiritual and birthright journey being cordinated by the Ghana Tourism Authority to commemorate 400 years since the first enslaved Africans arrived in North America. The initiative has pushed Ghana into 4th place in the list of 19 must visit places in 2019 put together by CNN. What seemed to be the last major event on the tourism calendar for 2018 did not disappoint patrons. The 2018 Culture Afrochella dubbed #afrochella18 came off at the El-wak Sports Stadium on Saturday December 29, 2018 bringing traffic to a stand-still. The beautifully and artistically designed entrance was just a foretaste of what was in-stock for patrons. From afrocentric dressing to woodcraft, acrobatic display to foot’pool’, eye-opening paintings to giant candies, the photo opportunities were endless but requiring phones with extra memory space for selfies. The music was just ‘afrocentrically’ riveting as the food caused taste buds to produce excess saliva. Crowning it all was the evening musical performances that left no room for parking for patrons who arrived late. Patrons are already looking forward to the 2019 edition and organizers have promised nothing but a more exciting event.